Killing Eve - I Have A Thing About Bathrooms - Advance Preview: "Close Encounters"
‘I Have A Thing About Bathrooms’ is electrifying from start to finish. It picks up exactly where ‘Sorry Baby’ left off, and the opening scene basically belongs to Sandra Oh and Jodie Comer. They both produce another masterclass in acting during this episode. We’re lulled into a false sense of security over and over again, as the episode toys with us in only a way that Killing Eve could pull off. Those who watched last week will know that the mole was revealed as Frank. He's not my favourite character by any means, but without giving anything away, he is involved in the episodes funniest moments. One I think was intentionally meant to be funny, and the other is just flipping the situation on its head and going in a completely different direction to what was expected. A lot of information is dished out this week in a number of scenes. This provides us with some interesting exchanges, sheds further light on things we might've thought we knew, leaves us with a hundred more questions, and of course more lives are in the balance this week. The episode's cliffhanger isn't quite as dramatic as previous weeks. It's one that I wasn't exactly expecting, and still feel a bit dubious over, but the show makes it work and it sets up next weeks episode rather well. ‘I Have A Thing About Bathrooms’ is a fantastic lead in to the second half of the season. 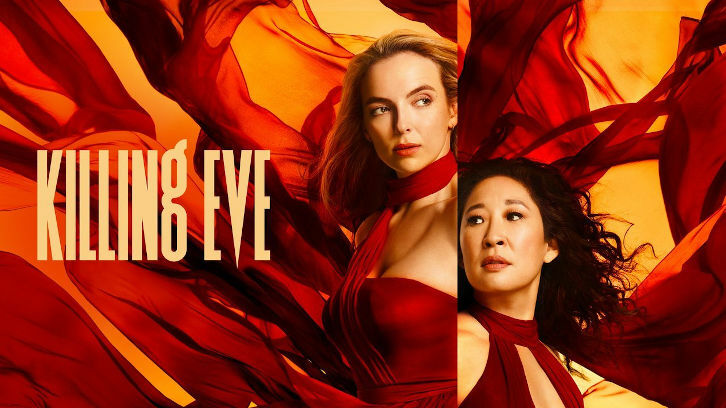 Full of Killing Eve’s trademark dark humour, revelations and as always brilliant performances from our two leading ladies. You can watch the episode this Sunday at 8pm on BBC America.